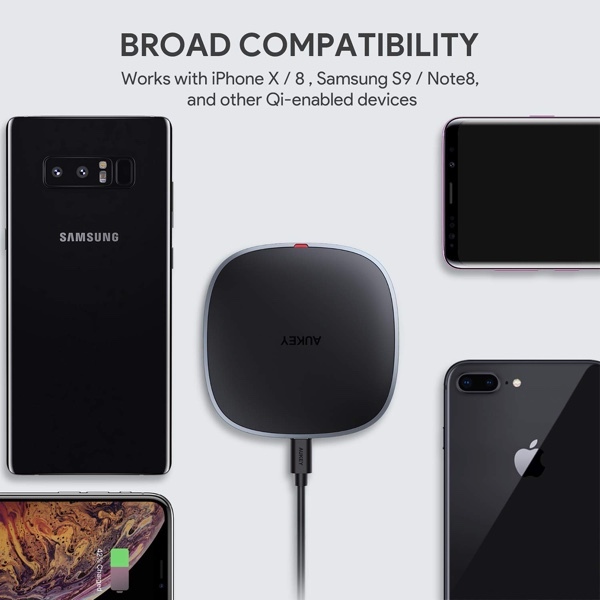 The folks at AUKEY already make some of our favorite accessories, and when it comes to wireless chargers it’s a company that has some of the best, most accessibly priced chargers on the market. Right now you can get one of its Qi-compatible chargers at an impossibly low price – just $7 – if you happen to know the special discount code. This AUKEY Qi-compatible wireless charger is a small puck that won’t take up a lot of room on your desk and it even ships with its own 3.3-feet micro USB cable, which isn’t something that can be said for all wireless chargers. It charges compatible phones super quickly, too. That 45-day money back guarantee is a great thing to have and if you do have any issues, we’re sure that AUKEY will sort you right out.